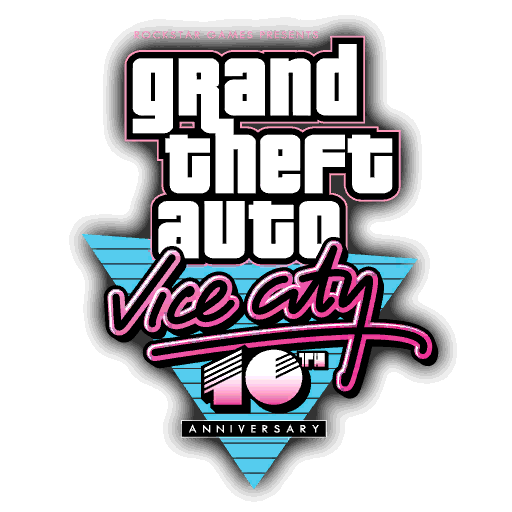 Grand Theft Auto: Vice City: 10th Anniversary Edition was released today, and I want to thanks both Rockstar and War Drum Studios for port of one of the best game in GTA saga. GTA:Vice City 10th Anniversary Edition is a port of the same RenderWare engine, and our modding tools can be used for modding. In iOS devices is direct access to game files besides Android. In Android devices, extract files from .obb file (by Winrar or 7Zip) and extract it into Android/data/com.rockstargames.gtavc/files. They are saved at 64kbps. Few songs are cut from mobile release. It really doesn't matter, because we can easily replace it. Michael Jackson "Wanna Be Startin' Somethin"
Afrika Bambaataa "Looking For The Perfect Beat"
And a couple of songs from Radio Espantoso. Additional opcodes to decompile(and compile) original mobile main.scm without any errors. My VICESCM.INI, just in case. Thanks to ThirteenAG and Silent. Also, R* left debug mode in SCM. Access: previous radio + handbrake. 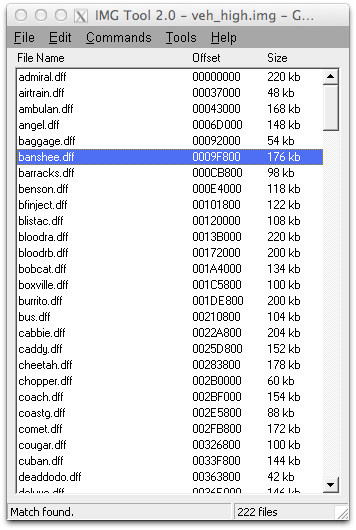 To edit graphic options, find a gta_vc.set file and edit it with hex editor like Hex Workshop.
" 66 66 96 "
Thanks to Gamerzworld for values. Seems to be a bit edited structure of DFF file, 3D Max can't import it. PC models works fine with Andorid and iOS version. Lets hope we can crack those new IMG file formats. This game from what Ash said uses the old file formats and new file formats for the IMG files. So there might be a shot at getting the game to read custom maps and vehicles. I'll test it soon. It's 9:50 here US Central Time, so the game should be coming soon in the US. Might get it at 11:00 PM Central Time as it will be 12:00 AM East Cost Time. Hi First: Sorry about my bad englisch. But I'll try it. But it seems like, at this old way, it doesn't works for GTA Vice City. I can not find the .TXD at any IMG-File I have try to replace just a .dff with many different Cars, but the game still crashed any time. But at both files, I doesn't found any TXD-file. Any idea where we can find the .IMG for the TXD-files? This makes me think that Rockstar doesn't want us porting the higher quality updates to the PC version. They probably didn't like people doing that with the Xbox version. Great Ash, thanks for this useful information. Now i do understand nkjellmans first post. Think so too. The new Texture looks pretty nice at the iPad 2. I was surprised about the high quality of the textures. Why did I move here? I guess it was to sell Shark Cards. ...or the mobile version uses better, less hardware intensive compression. 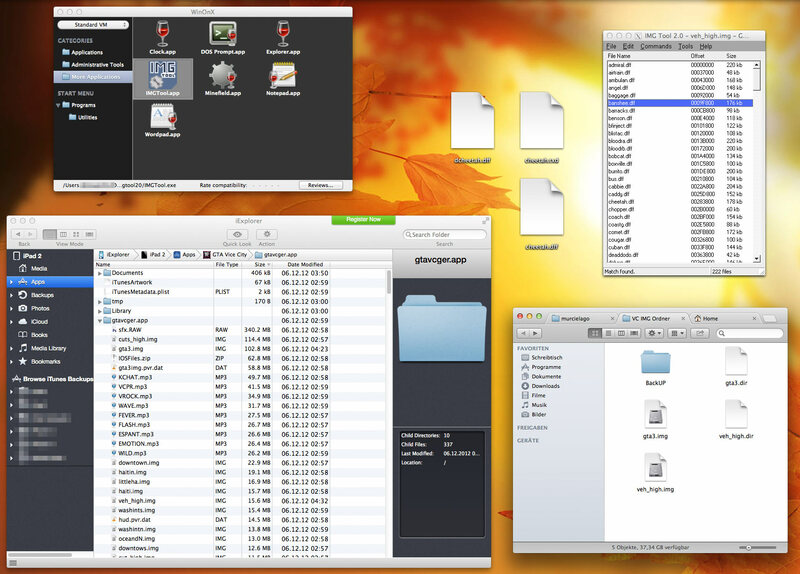 Anyone try deleting the new files to force it to revert back to the old? Worked on GTA3. OK, doing some research, PVR files are pretty much advanced compressed images, but all the tools I find are like either expensive or out of date (can't open the file), so I'm on the right track, just need to wrap my head around this, i think it's an apple only format, so i might just wait out for the Android version! GTA III had some file formats I haven't seen before. Didn't GTA III have some things updated on newer iOS devices that were improved over PC and PS2? Well, I got the app. 3 more minutes to go. Gonna test some mss folder mods to see if the mss folder heli/skimmer height limit increase mod I have works, and also some scm script mods. Yeah had a mess about with the texture tool, nothing seems to open it, and I'll be honest, i have no clue where to go from there, the TXT file contains all the details on every texture stored in the archive it represents, but I don't know what the tmb and toc ones are used for, possible some kind of encryption? Well someone will come up with a tool. Its GTA. Very popular game and guaranteed someone will crack it eventually. As I'm on an iPod Touch 4th Generation I may end up with the PC textures and models possibly. On the bright side this might make modding easier for me. If texture files from Apple devices can't be opened, maybe Android version will help. But game still isn't released. Perhaps. The game engine might be updated to account for enhancements. That's what I'm going to wait for, see if the Android one is any different, but if it's not, then bloody hell they like to make things awkward! The Android version will be different. The PVR files are textures and models optimized for PowerVR chips, which are used in iPhone 4+. The Android version will be like GTA3 where it downloads the files optimized specifically for your GFX chip (gta3_xxx.img). 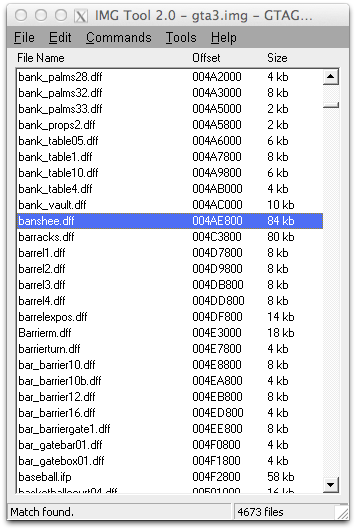 For GTA3 the game used to fall back to the originals if it couldn't find the optimized files, has anyone tried the same for VC? I'm guessing Google don't like money, what the hell is taking them so long to put it up? But I can't wait till I get my iPod Touch 5G. VC runs like III does on 4G. You need to run the app on a fresh reboot or else it will crash, and it crashes when you will go to save or pause the game. Also I don't have updated character models, or the dynamic shadows that I saw earlier. I don't even have the PC texture shadows. It also seems that the vehicles are the PC/PS2 vehicles. I do seem to have updated map textures. Not certain. On newer devices didn't GTA III have the Xbox vehicles and updated textures? did you get anything working? You are funny. ASI mods is made for x86 architecture, they can not be applied to ARM. Besides that, memory addresses in gta_vc.exe and gta3vc(ios executable) are different. Anyway, updated 1st post with ThirteenAG's new opcodes. We’re aware that some users have attempted to download Vice City: 10th Anniversary Edition from the Google Play Store and have experienced validation errors. Just to be clear: the game is not available for Android devices just yet, and if you’re seeing it listed on the Store then this is an error, and you shouldn’t attempt to download it. We’ll keep you up to date and let you know as soon as the game is live and available to purchase. It is availabe in my country, I bought it and boom. 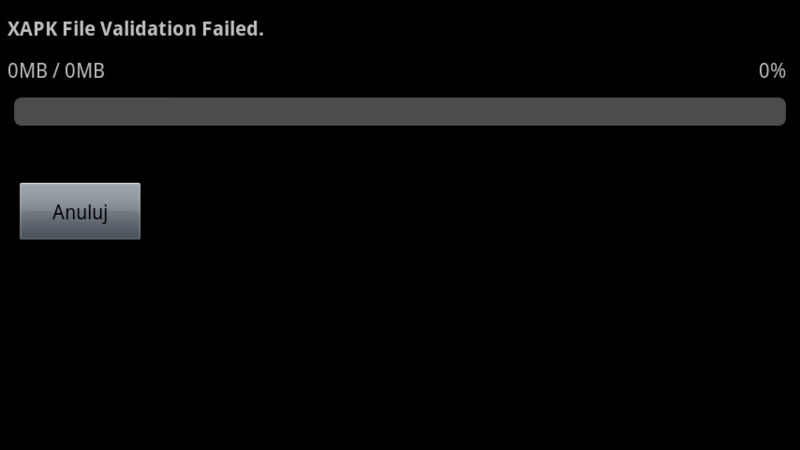 Do, Android users must wait longer... Can anyone send some DFF's and TXD's by PM? I'll look into it. It was available for everyone. It's been removed from the store now. Wow, SCM stats opcodes differ from PC version. Damn it, R* hasn't left any file of main.scm source this time. Yeah. Pity. Hoping that Android has some though. However, I'd "blame" (praise?) War Drum Studios more for these leftovers.